Instantly downloadable sheet music by Bill Withers for guitar (ukulele) of MEDIUM skill level. Instantly downloadable sheet music by Curly Putman for guitar (ukulele) of MEDIUM skill level. Alle Notenausgaben von Green Green Grass Of Home zum Herunterladen bei VirtualSheetMusic. Instantly downloadable sheet music by Franklin L. Sheppard for guitar (ukulele) of MEDIUM skill level. Alle Notenausgaben von This Is My Father`s World zum Herunterladen bei VirtualSheetMusic. Alle Noten von Franklin L. Sheppard zum Herunterladen bei VirtualSheetMusic. Instantly downloadable sheet music by Harry Brooks for guitar (ukulele) of MEDIUM skill level. Instantly downloadable sheet music by Jeff Barry for guitar (ukulele) of MEDIUM skill level. Instantly downloadable sheet music by John Kander for guitar (ukulele) of MEDIUM skill level. Instantly downloadable sheet music by Jule Styne for guitar (ukulele) of MEDIUM skill level. Instantly downloadable sheet music by Malcolm Young for guitar (ukulele) of MEDIUM skill level. Instantly downloadable sheet music by Mike Stoller for guitar (ukulele) of MEDIUM skill level. Instantly downloadable sheet music by Nahum Tate for guitar (ukulele) of MEDIUM skill level. Alle Noten von Nahum Tate zum Herunterladen bei VirtualSheetMusic. Instantly downloadable sheet music by Oscar II Hammerstein for guitar (ukulele) of MEDIUM skill level. Instantly downloadable sheet music by Paul McCartney for guitar (ukulele) of MEDIUM skill level. Instantly downloadable sheet music by Queen Liliuokalani for guitar (ukulele) of MEDIUM skill level. Alle Notenausgaben von Aloha Oe zum Herunterladen bei VirtualSheetMusic. 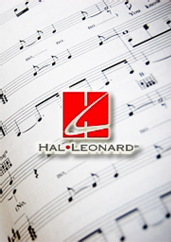 Alle Noten von Queen Liliuokalani zum Herunterladen bei VirtualSheetMusic. Instantly downloadable sheet music by Richard Rodgers for guitar (ukulele) of MEDIUM skill level. Alle Notenausgaben von Impossible zum Herunterladen bei VirtualSheetMusic. Instantly downloadable sheet music by Robert Wachtel for guitar (ukulele) of MEDIUM skill level. Alle Notenausgaben von Werewolves Of London zum Herunterladen bei VirtualSheetMusic. Alle Noten von Robert Wachtel zum Herunterladen bei VirtualSheetMusic. Instantly downloadable sheet music by Steve Cropper for guitar (ukulele) of MEDIUM skill level. Instantly downloadable sheet music by Taylor Swift for guitar (ukulele) of MEDIUM skill level. Instantly downloadable sheet music by Bjorn Ulvaeus for guitar (ukulele) of MEDIUM skill level. Instantly downloadable sheet music by Don McLean for guitar (ukulele) of MEDIUM skill level. Alle Notenausgaben von American Pie zum Herunterladen bei VirtualSheetMusic. Alle Noten von Don McLean zum Herunterladen bei VirtualSheetMusic. Instantly downloadable sheet music by George A. Norton for guitar (ukulele) of MEDIUM skill level. Alle Notenausgaben von She Wore A Yellow Ribbon zum Herunterladen bei VirtualSheetMusic. Alle Noten von George A. Norton zum Herunterladen bei VirtualSheetMusic. Instantly downloadable sheet music by J.C. Beckel for guitar (ukulele) of MEDIUM skill level. Alle Notenausgaben von I Wish I Were Single Again zum Herunterladen bei VirtualSheetMusic. Alle Noten von J.C. Beckel zum Herunterladen bei VirtualSheetMusic. Instantly downloadable sheet music by Jimi Hendrix for guitar (ukulele) of MEDIUM skill level. Alle Notenausgaben von Purple Haze zum Herunterladen bei VirtualSheetMusic. Instantly downloadable sheet music by John Lennon for guitar (ukulele) of MEDIUM skill level. Alle Notenausgaben von Your Mother Should Know zum Herunterladen bei VirtualSheetMusic. Instantly downloadable sheet music by Lee Adams for guitar (ukulele) of MEDIUM skill level. Alle Notenausgaben von Once Upon A Time zum Herunterladen bei VirtualSheetMusic. Alle Noten von Lee Adams zum Herunterladen bei VirtualSheetMusic. Instantly downloadable sheet music by Mike Love for guitar (ukulele) of MEDIUM skill level. Alle Notenausgaben von 409 zum Herunterladen bei VirtualSheetMusic. Instantly downloadable sheet music by Miscellaneous for guitar (ukulele) of MEDIUM skill level.